A recent customer of mine asked me if we did hardwood flooring. I told him that we only did decorative concrete that looked like hardwood, and he was was confused. I then told him of a few places that have it, and he said he was familiar with the places and never realized that it was concrete and not actual hardwood. I sent him a couple of pictures, and he was excited to hear more about it and requested a quote. In full disclosure, he also mentioned that he was still going to get some quotes for real hardwood. A few weeks later, I heard back from him that not only was my price lower than actual hardwood, but that he was drawn to the idea of less maintenance long term (sealer can last 3-5 years and is very cost efficient). Another major plus was that he could wash it easily with a spray hose, and not worry about damaging it. 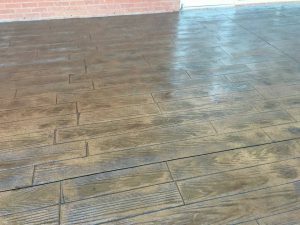 Although stamped hardwood can cost a little bit more than regular stamped concrete because it requires additional coloring to look authentic, it is definitely a great alternative to real hardwood. Below, please see a picture of the work we did at his house. 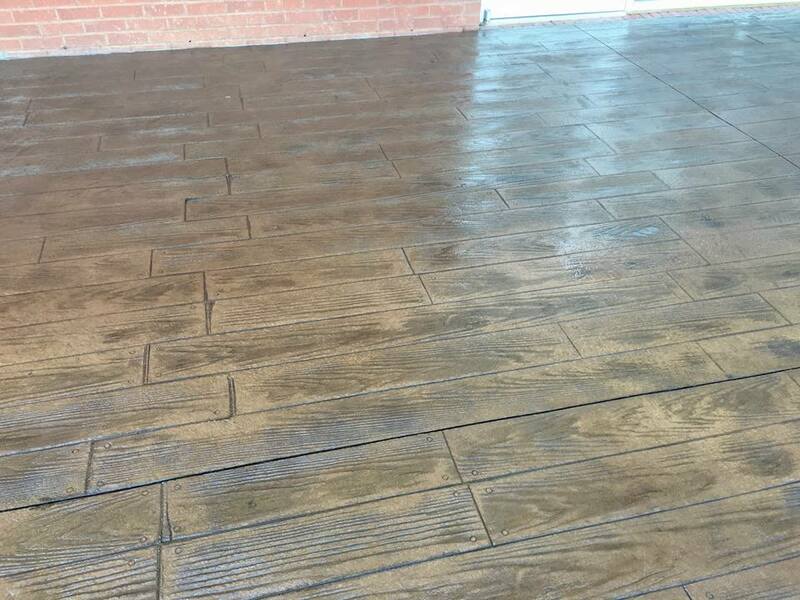 If you are interested in a quote for stamped concrete, or even regular concrete, do not hesitate to call us and we will be happy to arrange an estimate (as always, free of charge).